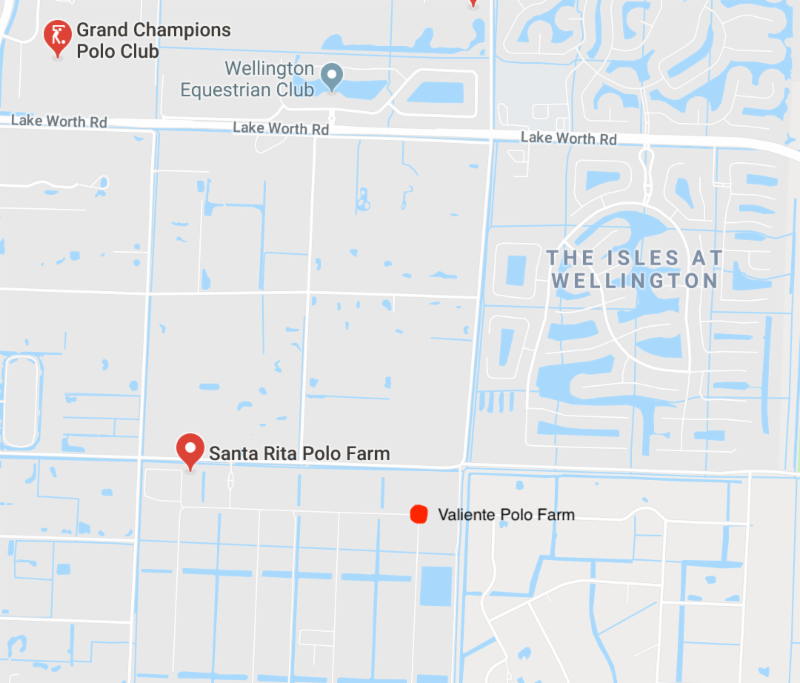 WELLINGTON, Fl., April 14, 2019----WPL won its first tournament of the World Polo League Saturday at Valiente Polo Farm. 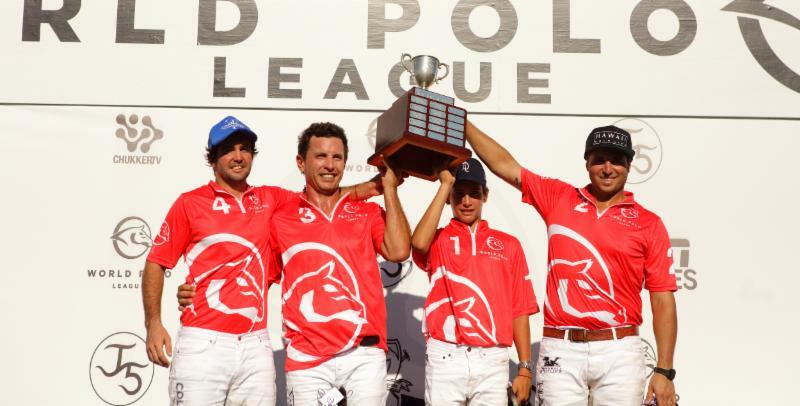 US Trust Cup champion WPL's Diego Cavanagh, Guillermo Terrera, Poroto Cambiaso and Santi Torres. 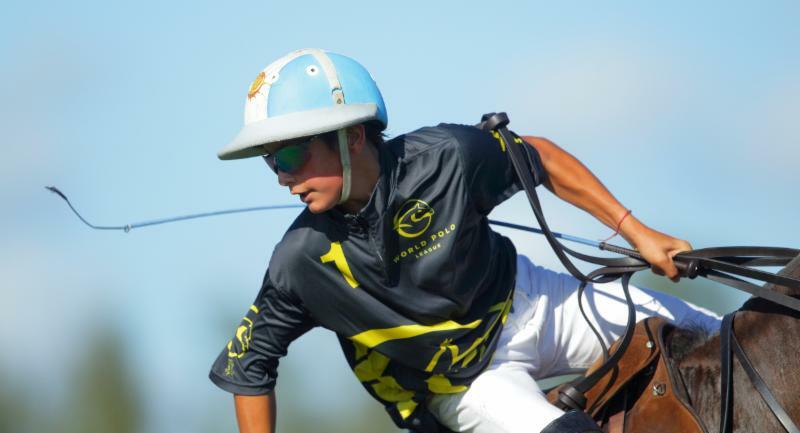 Playing with the league's youngest player, WPL (Poroto Cambiaso, 3, Santi Torres, 6, Guillermo Terrera, 8, Diego Cavanagh, 9) defeated Alegria (Freddie Mannix, 8, Jesse Bray, 6, Santi Wulff, 5, Juan Martin Obregon, 5), 14-10, to capture the US Trust Cup, the Triple Crown of Polo subsidiary game and $60,000 in prize money. Argentine 8-goaler Guillermo Terrera was selected Most Valuable Player after turning in one of his finest performances of the 26-goal season. 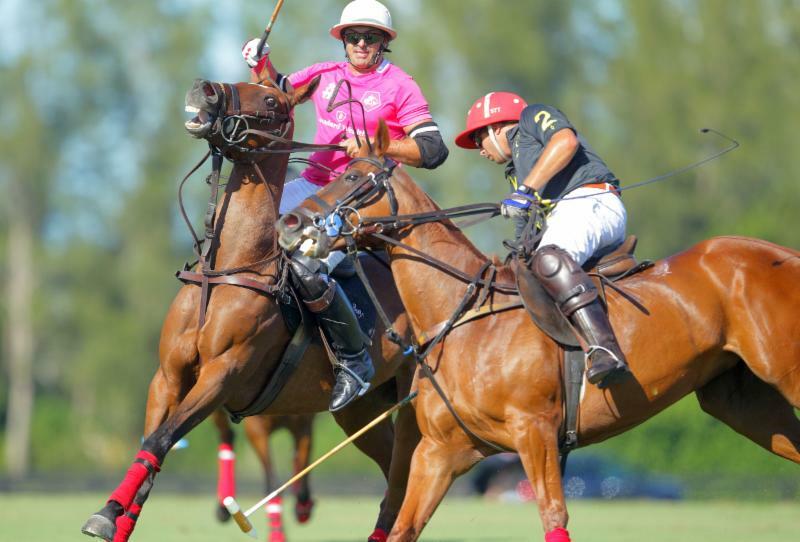 Juan Martin Obregon of Alegria is double teamed by WPL teammates Guillermo Terrera and Poroto Cambiaso. "I am very happy with winning, always," Terrera said. 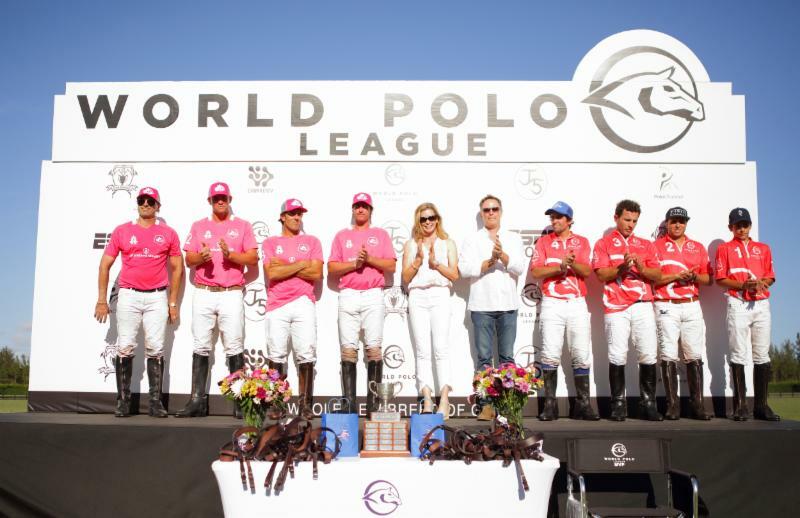 "It is our last game of the season in the World Polo League. Everything was perfect. 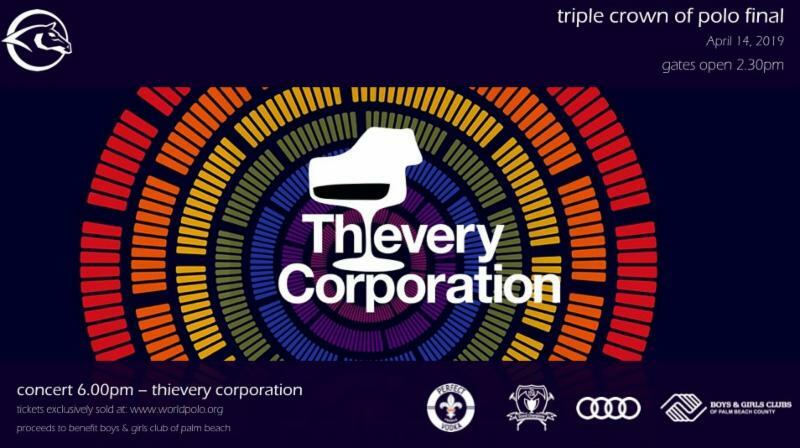 The season went really well. I will be back next year." Trailing 5-2 after the opening chukker, WPL dug itself out of a hole to end the second chukker, 6-6, before taking the lead in the third chukker. 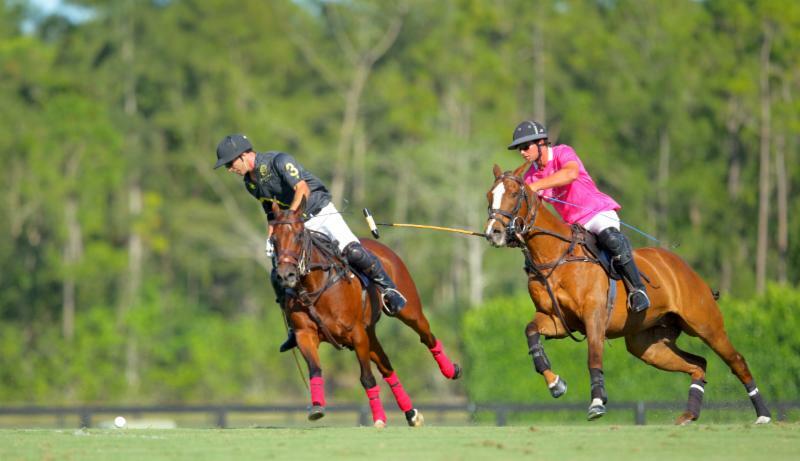 Poroto Cambiaso of WPL drives the ball downfield with Santi Wulff of Alegria trying for the hook. "It is not easy to come back when you are down on the scoreboard before you start," Terrera said. "They started scoring but luckily we played our game without panicking. We tied it up and then went ahead. 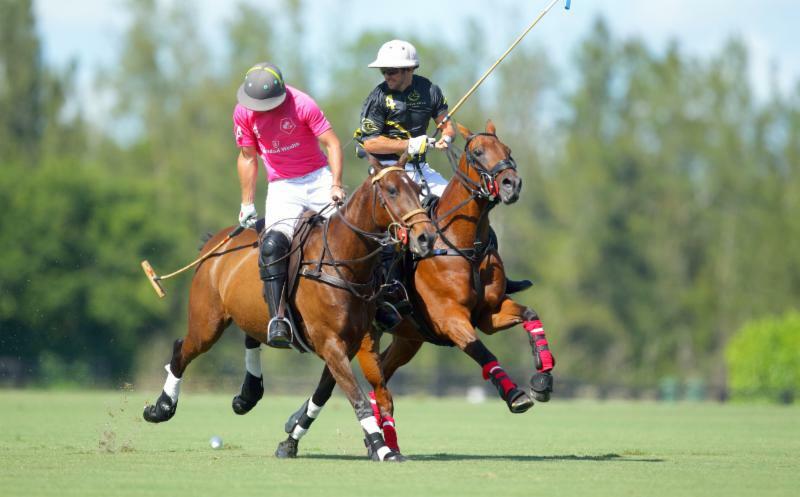 "It was a team effort," said Terrera, who enjoyed playing with 13-year-old Poroto Cambiaso, the league's youngest player. "It is amazing how he plays at his age. We are enjoying watching him." Diego Cavanagh of WPL tightly defends Juan Martin Obregon of Alegria. Alegria tied one last time, 7-7, before WPL regained the lead on Cavanagh's penalty-three conversion late in the third chukker. WPL never relinquished the lead after that. 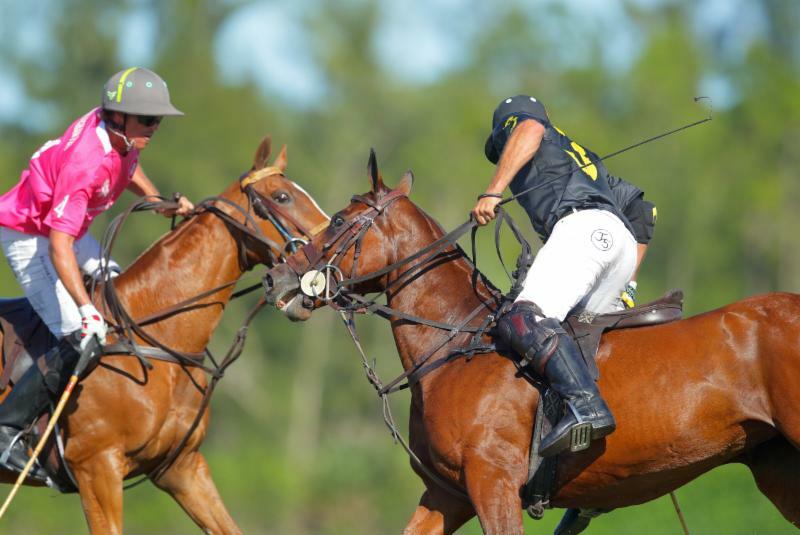 Alegria could get no closer than two goals, 9-7 at the half, and 12-10 late in the fifth chukker. "We went in losing by handicap, 3-0, but we just said to ourselves do not look at the score," Torres said. "We just had it 0-0 in our heads, slowly get our goals back and go from there and not to rush." Guillermo Terrera of WPL reaches for the ball with Juan Martin Obregon of Alegria defending. 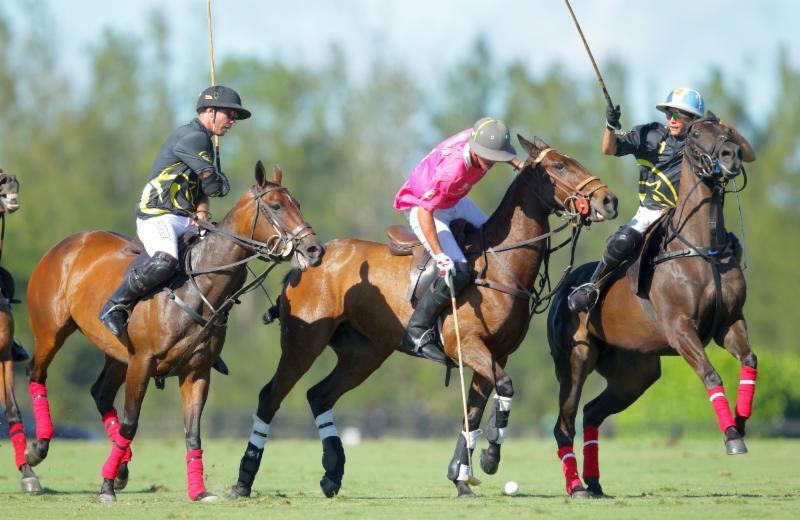 After a slow start in the WPL, Alegria finished with one tournament win, the Molina Cup, the Palm Beach Open subsidiary and US Trust Cup runner-up finish. "The team came into itself halfway through the season," Mannix said. "It's too bad we couldn't finish with (injured) Gringo (Colombres), he was an integral part of the team. But this is sports, you have to adapt and adjust. If there is a wall in front of you, you have to go over, under or through it and we kind of came up a bit short today." Santi Torres of WPL reaches for the ball with Freddie Mannix of Alegria defending. WPL had balanced scoring. Cavanagh led with a game-high five goals. 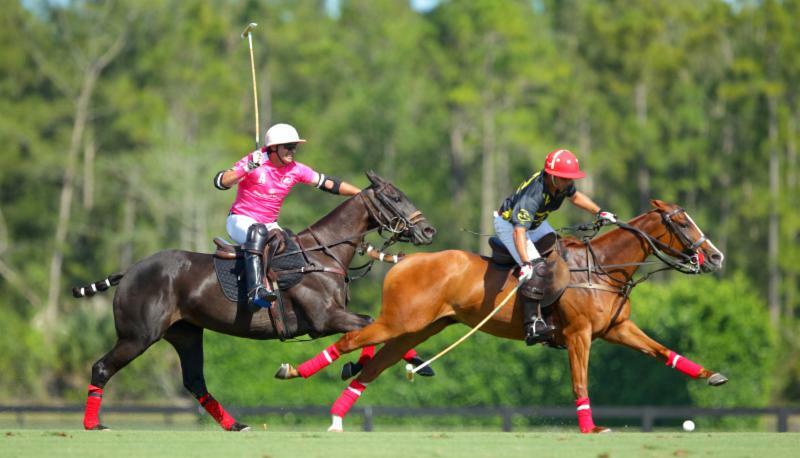 Cambiaso, Torres and Terrera each had three goals. "I am very happy, this was a great, fun team," Cavanagh said. "Alegria was a really tough team. They have been showing it. I'm really happy we won it. 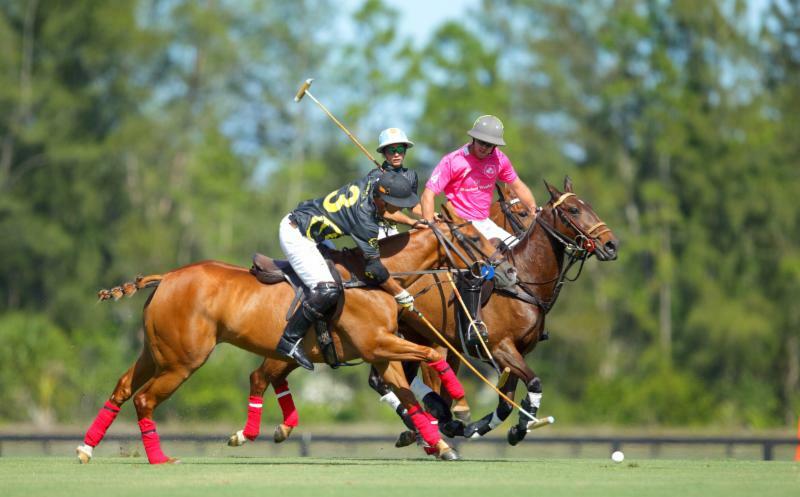 "We had a second and fourth really strong chukkers," Cavanagh said. 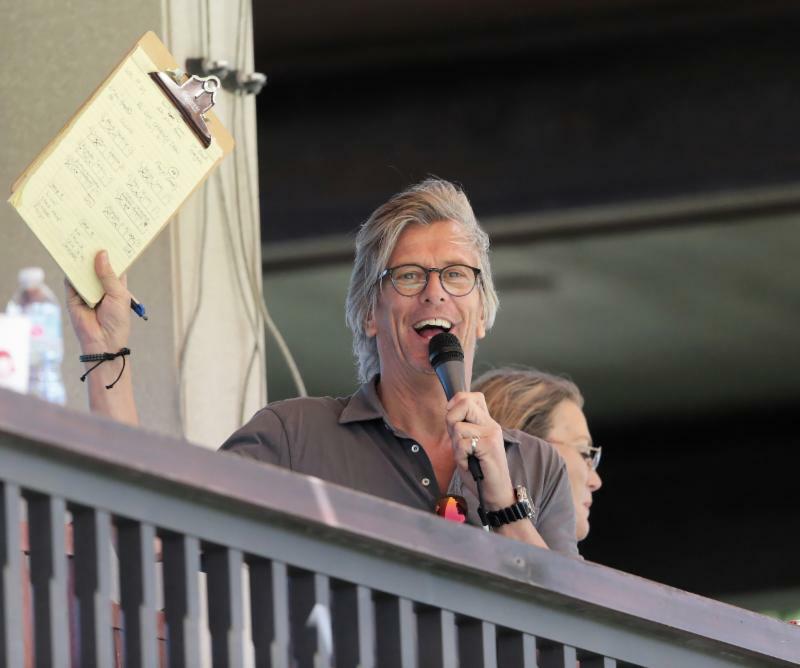 "They were key chukkers. The second was to tie and the fourth was to stretch the lead. The winning is nice." Juan Martin Obregon of Alegria tries to steal the ball from Guillermo Terrera of WPL. 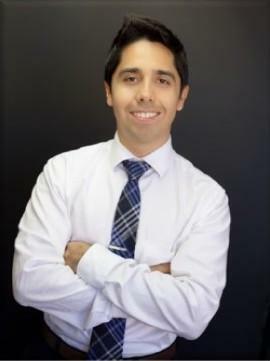 Torres was one of the successful players during the WPL's inaugural season. 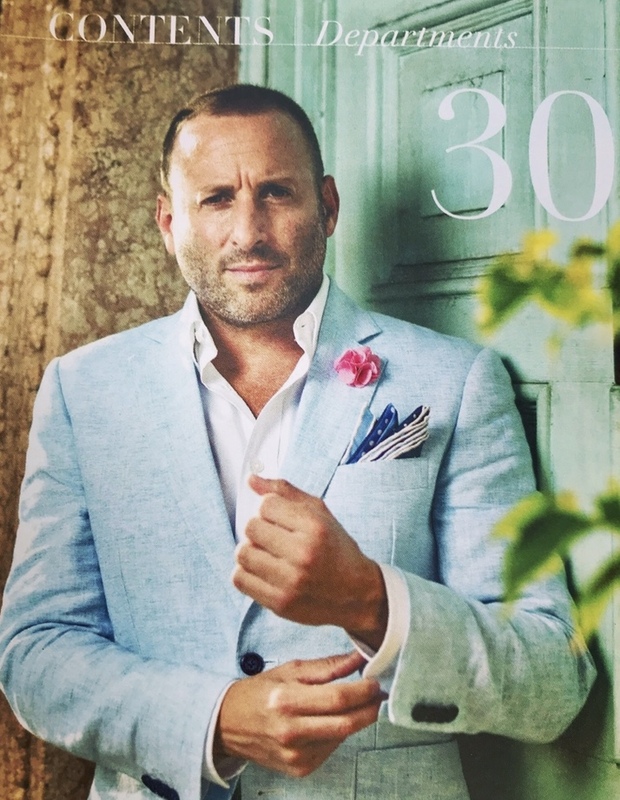 He won the All Star Challenge Tournament with Valiente; was runner-up in the Founders Cup with Valiente and won the Palm Beach Open with SD Farms. He filled in for an injured Agustin Nero in the WPL lineup to finish with a subsidiary tournament win. "I had a great season, it was very enjoyable," Torres said. "It was better than other seasons. It was fun. Diego Cavanagh of WPL drives downfield as Santi Wulff of Alegria tries to catch up for the hook. "I have mixed emotions this is my last game of the season, but I'm happy it was a good season," the 25-year-old Torres said. "I thought I was done but I had to sub in for a few more games and have a little bit more fun." Obregon led Alegria with four goals. Bray had two and Mannix added one goal. 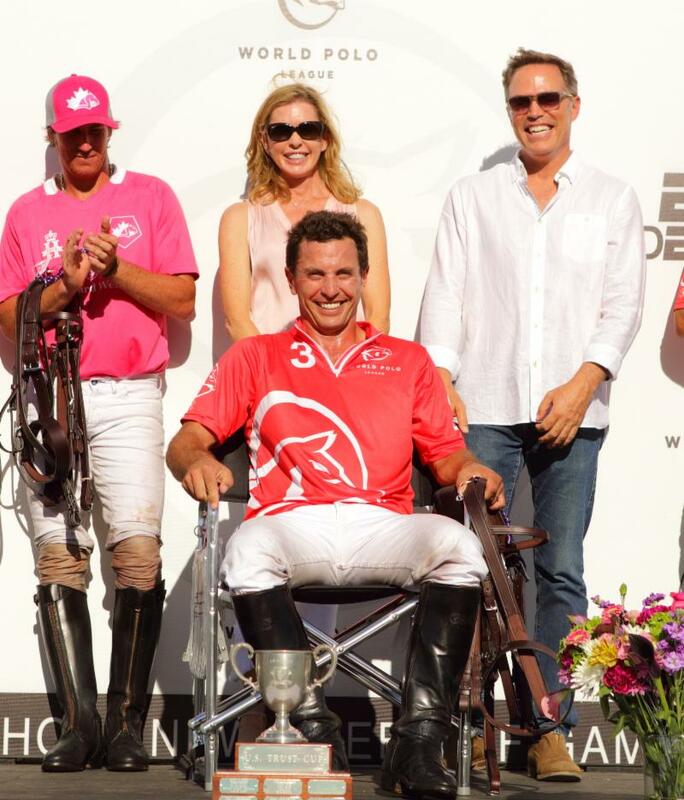 Grand Champions Best Playing Pony was Dolfina Biplaza, played by Diego Cavanagh in the second and sixth chukker. 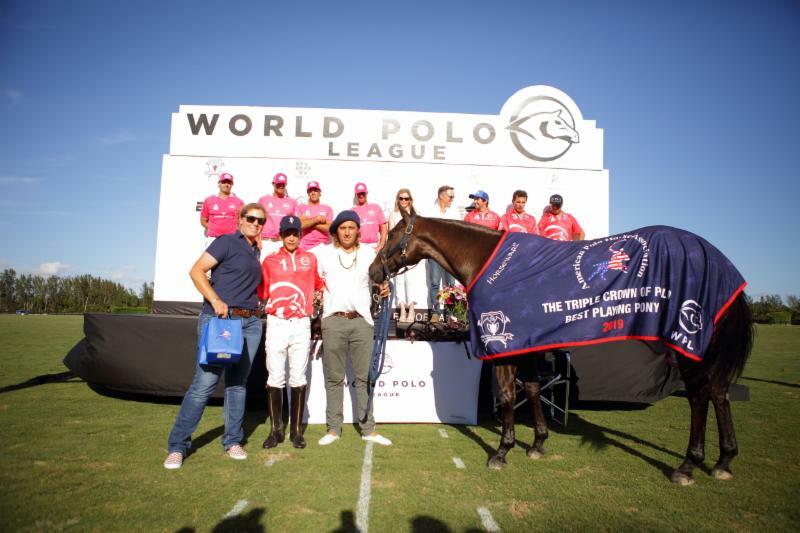 The Grand Champions Best Playing Pony was Dolfina Biplaza, a gelding played by Cavanagh in the second and sixth chukker. 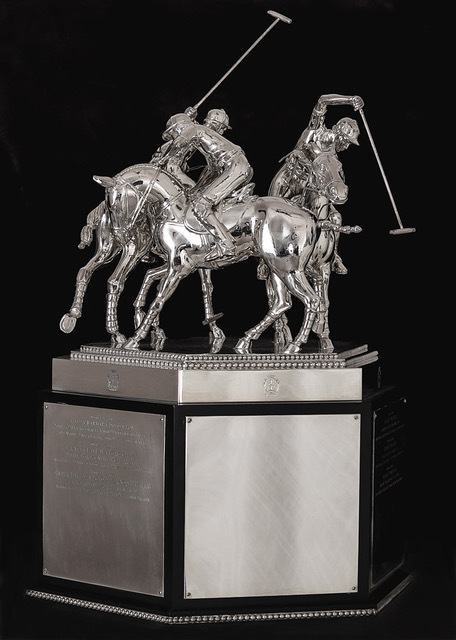 The American Polo Horse Association Best Playing Pony was Moonshine, played by Cambiaso in the fifth chukker. 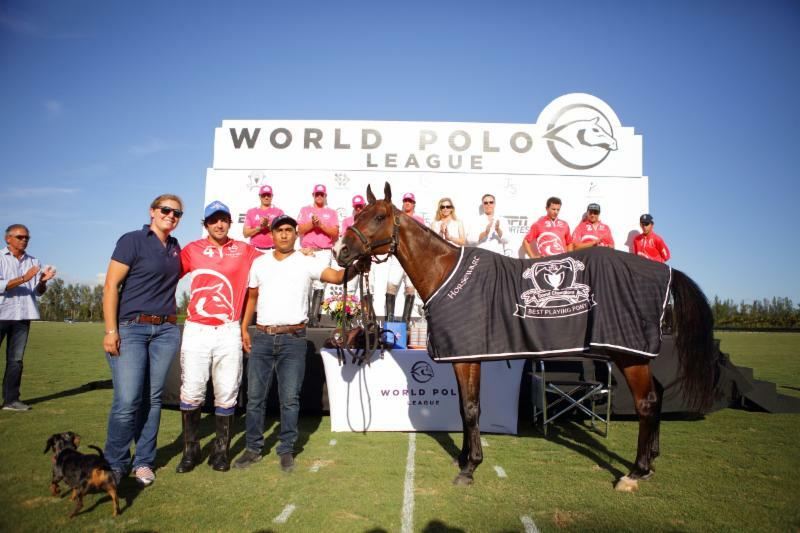 American Polo Horse Association Best Playing Pony Moonshine, played by Poroto Cambiaso in the fifth chukker. 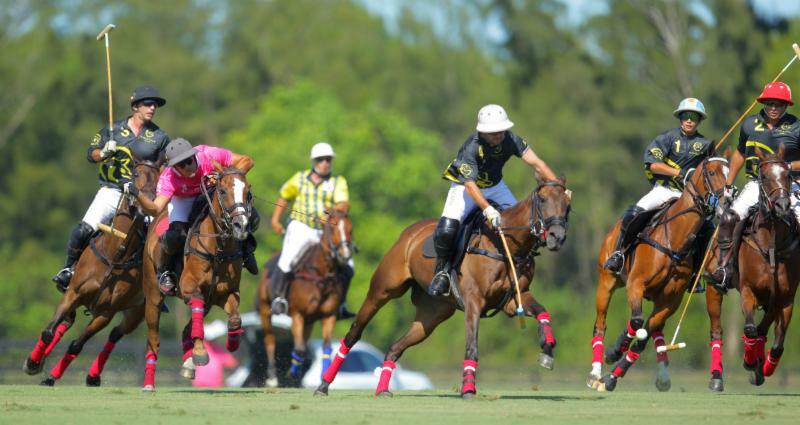 In what promises to be an exciting game to end the season, Audi (Marc Ganzi, 2, Nic Roldan, 8, Pablo MacDonough, 10, Kris Kampsen, 6) will meet Colorado (Rob Jornayvaz, 2, Juan Martin Zubia, 7, Jero del Carril, 7, Adolfo Cambiaso, 10) in the Triple Crown of Polo championship at 4 p.m. at Grand Champions Polo Club Field 2. Gates open 2:30 p.m.
MVP Guillermo Terrera of WPL tries out his MVP chair with awards presenters Cindy and Ricardo Santa Cruz. Audi and Colorado will be making their second appearances in a WPL tournament final, both finishing runners-up. US Trust Cup finalists Alegria and WPL with awards presenters Cindy and Ricardo Santa Cruz of Mandarina Polo & Equestrian Club. The tournament winners will be inscribed on the trophy and added to an impressive list of teams that feature several top players including Sebastian Merlos, Mike Azzaro, Tommy Biddle, Adam Snow, Nic Roldan, Matias Magrini, Jeff Hall, Mariano Gonzalez, Michel Dorignac and Kris Kampsen. Freddie Mannix of Alegria chases down Santi Torres of WPL. Jesse Bray of Alegria defends Guillermo Terrera of WPL. 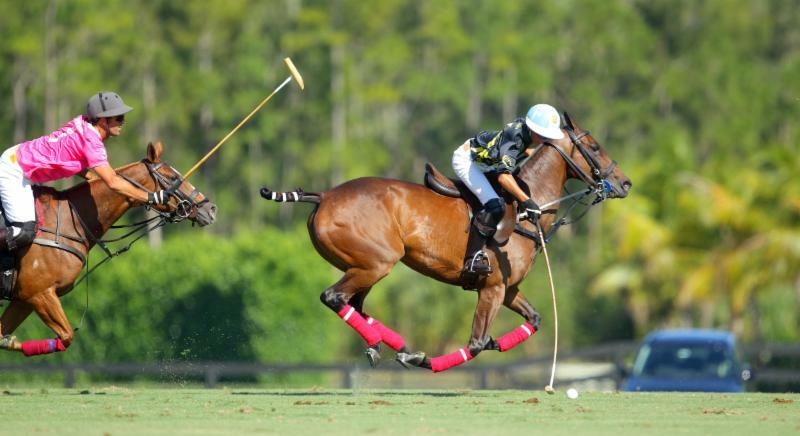 Poroto Cambiaso of WPL, the youngest player in the World Polo League, leans for the ball.